If you work on a construction site around heavy traffic, or with heavy machinery, you need to be seen. The Occunomix High Visibility FR Long Sleeve Shirt makes sure you’re seen day or night. 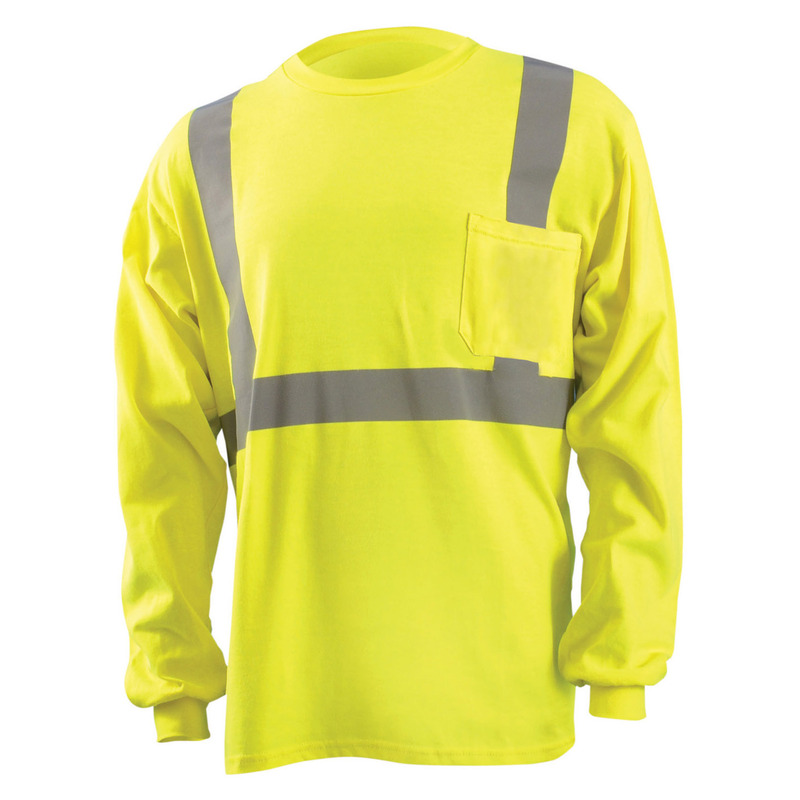 This long sleeve, high visibility yellow shirt is ANSI class 2 certified to comply with industry standards for safety. The brightness of the yellow will make you stand out, for the utmost visibility, 2-inch 3M Scotchlite Reflective Material stripes are strategically placed on the shirt–2 vertical and one 360° horizontal stripe. You’ll be seen front to back. Made of 100% ANSI wicking polyester treated to be flame-resistant, you’ll stay drier and more comfortable all day or all night thanks to the breathable, moisture wicking characteristics of the fabric.